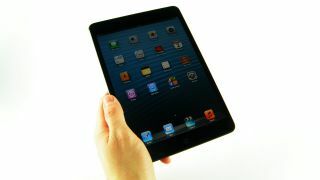 The iPad's share of the UK tablet market has fallen from 73 per cent to 63 per cent in the last twelve months, according to figures published by YouGov. The Tablet Tracker show a leap in the ownership of Android tablets, mainly through the cheaper Google Nexus 7 and Amazon Kindle Fire, while Samsung also made significant gains at the end of Q1 2013. The Google Nexus 7, which went on sale for just £159 last year, has amassed 8 per cent of the total UK market, while Amazon's cheap Android tablets accounted for 5 per cent of all sales. Meanwhile, Samsung jumped from a 4 per cent to a 10 per cent share. Apple's dominance coming to an end? The YouGov report says the fall of Apple's tablet overlordship comes despite the launch of the iPad mini and fourth-generation iPad at the back end of last year. It sees Android's rise in a sales and customer satisfaction scores as a sign that consumers see Android and iOS tablets as equals. "With a growing market, greater competition and falling prices, Apple was bound to lose some share. However, it is not simply a matter of inexpensive products flooding the market. It seems that Apple no longer has a monopoly on the "premium share as other brands emerge with near-equal satisfaction scores. Given the market's current expectations and considerations in purchasing tablets, we anticipate Apple to lose additional share throughout the coming year to Samsung, Google and Amazon," said John Gilbert, Consulting Director of YouGov Technology & Telecoms. Do you think Apple and Android are now equals in the tabletsphere or is the latter's rise due to the attractive price-tags slapped on devices like the Nexus 7 and Kindle Fire? Let us know in the comments section below.